There’s a lot going on here. Some of it is physical ability. Some of it is being busy. Some of it is being lazy. But… it all really comes down to your motivation. If you’re not motivated to do something you’re not going to do it (or if you do, it certainly won’t be at 100% focus and effort levels). Motivation is key in absolutely everything that you do. While I’d say around 25-50% of motivation has to come naturally, that other 50-75% can be manufactured by you. You just have to know what that process is. Once you’ve discovered this power, you can apply it anywhere in your life and basically choose when you want to be ultra motivated. What you end up choosing, however, will be up to you. Of course, in this post we’ll mainly be talking about motivation in relation to Japanese learning. I spend a lot of time thinking and reading about the topic of motivation (it seems to be really core to our Japanese learning sites TextFugu and WaniKani, after all), so I wanted to write a series of posts covering the topic. I was going to write it all at once in one article, but then thought it’d be best spread out so you can try individual techniques out a little bit at a time so you don’t get overwhelmed. 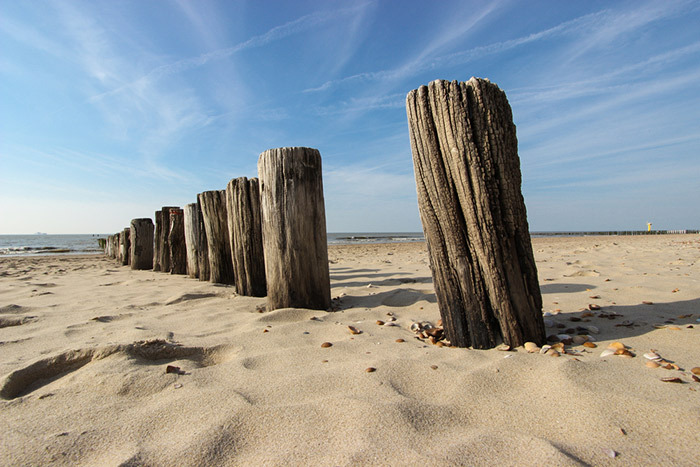 Without wasting any more time, here’s today’s “motivation”-related topic: Setting Stakes. I’m going to learn the joyo kanji this year! I’m going to lose 500 pounds this year! Those sound a lot like New Year’s Resolutions to me, and we all know how often New Year’s Resolutions are carried out (not that often). When there are stakes associated with goals like these, they tend to be “I better learn it!” or “I have to learn it!” but there’s never really any reason to follow through. The only stakes here are the ones that make you feel bad for not completing your goal. Humans forget and move on easily. These kinds of stakes will not do anything. This is not motivation at all. Now go ahead and think about the times when you get something done because the stakes are high. Focus mainly on the victories. What sorts of stakes were they? Fear of losing your job? Getting a bad grade? Letting down a friend? Getting whipped by your overlord? Losing money? Breaking the streak? What motivates you will depend solely on you, but I can pick out one or two things from that list that would certainly work well for me (and already have). What about you? Figure that out and move on to the next section. Friends can be very helpful for setting stakes. In fact, when it comes to setting stakes, you should never be in control. If you’re in control, you’re liable to cheat and unset your stakes. It’s a particularly natural and human thing to do (if you have the power to make your life easier, you probably will make it easier). So, pick a friend who’s particularly evil and very willing to do things to you that you wouldn’t want them to do. Also make sure you can trust them enough to not screw you over on purpose. Step 1: Figure out what you’re trying to achieve. It shouldn’t be an impossible thing, because that would be silly. Also, it should be quantifiable. You can’t say “done with learning kanji” because that doesn’t mean anything. You have to say something like “be able to read this list of 1700 kanji and know their meanings at a 90% accuracy rate when tested in xyz way by xyz date.” This is very specific. It’s obvious if you can do it or not do it since it’s all numbers that can be measured by you and by your semi-evil friend. Step 2: Find a friend you can trust. Family could work too, though they tend to be soft, and that’s no good. Evil friend it is. Step 3: Tell them about your goal. Tell them what you have to achieve (make sure it’s specific!). Tell them how they will test you when the time comes. Step 4: Think of “a lot of money.” How much that is depends on who you are. Let’s just say $1,000 for the sake of this example. Now, think of a group of people you’re not a fan of. Mimes. Adam Sandler. Whatever. Write a check out to them. Give it to your friend. Tell them that if you don’t complete your goal by a certain date, they should mail that check off to the organization of your (not) choice. 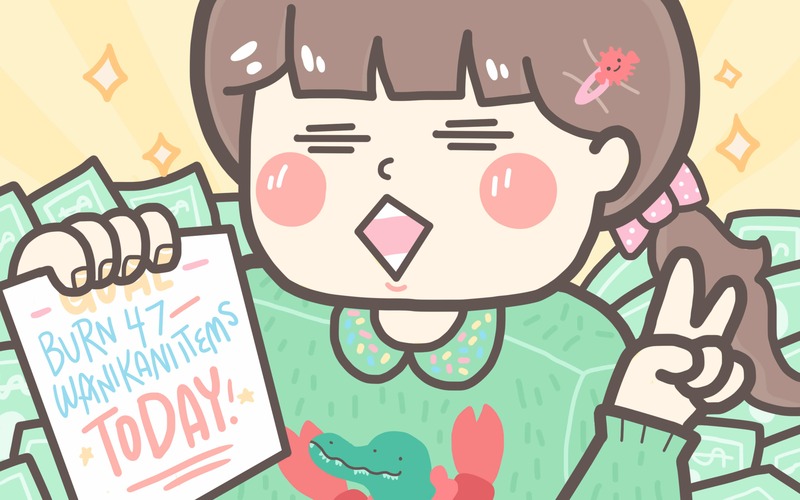 Add some postage and an envelope to make it incredibly easy to send. Step 5: Get cracking. You don’t want the Adam Sandler using your money, right? Now, the really hard part is actually doing something that you’d be terrified to do. 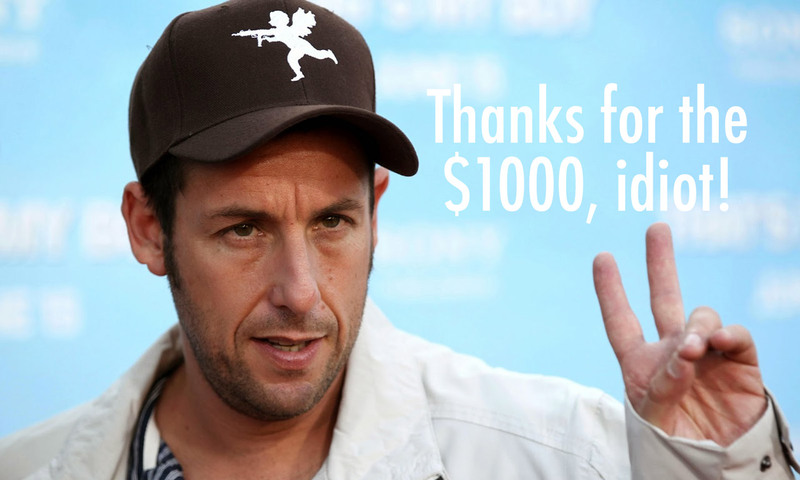 Like, accidentally giving $1,000 to Adam Sandler is a terrifying prospect to me. Why would you even put yourself in a situation where you’d have to give $1,000 to Adam Sandler? Well, because you want to accomplish your goal. So, bite the bullet and embrace the fear. Pick something you’re terrified of and it will greatly increase your chances of success by quite a lot, possibly doubling or tripling your chance of success. And, believe it or not (I know you believe it) there’s a service that does just this. 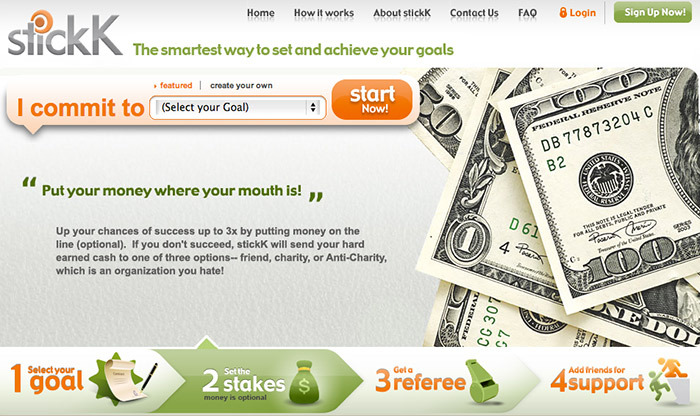 It allows you to create a goal, add stakes (money, which can go to your friend, a charity, or an anti-charity), add a referee (that’s your friend), and then friends for more support. It basically streamlines everything and will hold on to your money until the referee decides whether to give it back to you or release it to George Bush’s Library fund. Anyways, I’d trust this more than giving my friend an envelope with a check in it. Who goes to the post office these days, right? Learn the Joyo kanji by ____. Here is the list of Joyo kanji. I am going to learn the on’yomi reading and meaning for all of them. I will test myself by allowing my friend to show me 100 of these items at random, and then I have to write down the answers (and he will guess). I must get 90% correct. Burn __ number of WaniKani items by ____. Be able to read any page of this Japanese book, at random, by year’s end (make sure to have a referee that can judge that you’re not making things up). Study my Anki deck every single day this month, even if it’s a little bit. Goals can be big or small. I’d suggest things that are 1-3 month goals, as you can keep setting new goals and setting new stakes more often. It’s easier to gauge 3 months than it is to gauge a whole year, too. You’ll be able to set difficult but more realistic goals this way. Good luck!